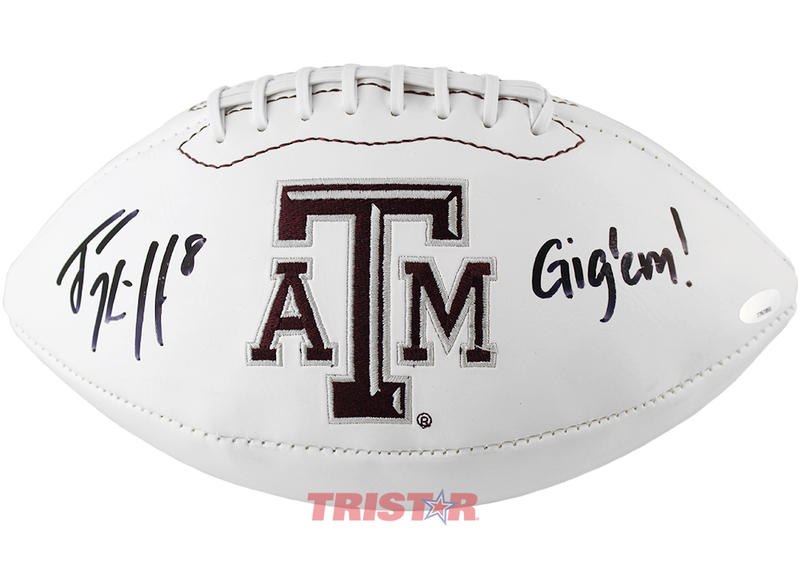 This Texas A&M Aggies logo football has been hand signed and inscribed "Gig Em!" by former quarterback Trevor Knight. Each autographed football includes an individually numbered TRISTAR Authentic hologram.